Hot Water Heater Making Noise: Hissing, Humming, Popping, Knocking? Water heaters are not fail-proof. Whether you have them at home or in your RV, there will come a time when they will start giving you headaches. 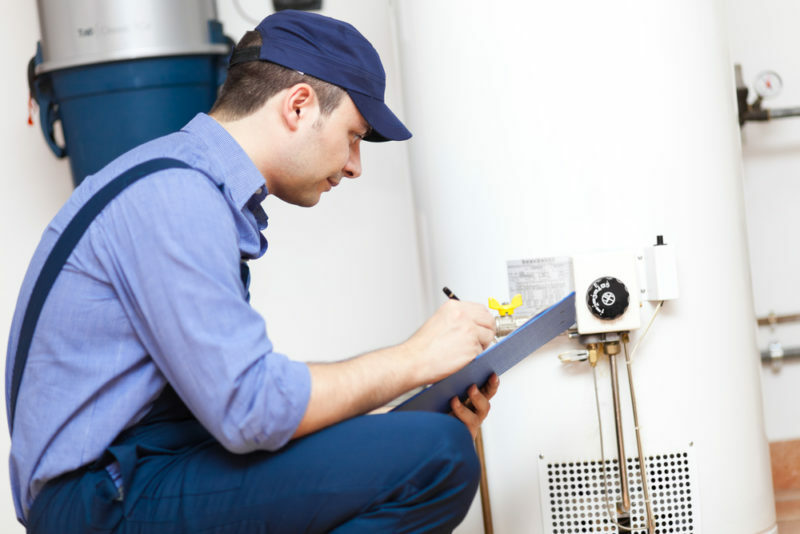 The most common water heater-related complaints of homeowners involve leaks and noise. Yes, it’s not just the roof where leaks occur. You may not realize this but leaking water heaters are a fairly common problem among homeowners. Unfortunately, leaks are not limited to appearing at the water lines and pipes connected to it; they can also occur at the top or at the bottom components. These include the temperature and pressure relief valve (T&P valve), hot water outlet, overflow pipe, drain valve, heating element gasket, cold water inlet, and many others. It’s not really uncommon for water heaters to make noise. Some operate so quietly that you might even go and check if they are running at all, while some make constant noises, such as vibrating sounds, whenever they operate. Whatever is the case with your unit, you should know that not all the noise you hear should send you in a panic. This does not mean that you should ignore it when your water heater makes some noise while in operation. Any unusual sounds you hear must be checked out by a professional, because there are certain noises that indicate there might be a problem on your unit. You will get to know more about it through this article, so read on. If for some reason your water heater is only making noise when your household uses up hot water, you would likely need to get it checked. The cause of these noises will vary and may or may not be serious. Only a qualified professional can accurately diagnose the issue and do the necessary repairs. More often than not, scale formation inside the tank is the reason why your unit makes noise when you use hot water. Water heater sounds due to these sediments will vary and may be as minor as gurgling noises to as alarming as pounding sounds like that of jackhammers. If you hear knocking noises but only when your household is using up hot water, the issue lies on your water lines. CPVC pipes will expand whenever hot water flows in it and if there is not enough space, it will bump against the nearby objects, creating the sound. Another possible reason for the noise is because air is trapped inside your water heater’s system, including the plumbing connected to it. It is possible for air to go inside your water heater and air bubbles to be trapped inside the lines, especially if there are loose connections or components that are not fully closed. When this happens, various types of noise are produced and water will not flow smoothly whenever you open the faucet. Why Does a Water Heater Make Popping Noises? Would you believe that whenever you cook popcorn or pour cereal in a bowl are not the only times you can hear popping noises at home? This type of noise is also produced by some water heaters, particularly those that have buildups of sediments, limescale, or both, on their tank’s heating element. These sediments come from the water that goes through it and they will settle and clump together at the bottom. The popping sounds you might hear occurs when the water becomes trapped under the sediment or limescale deposits while being heated up. When water starts to boil, bubbling up will happen next and the steam bubbles will try to escape from being trapped under the layer of scale. As it starts escaping, it will make the popping sounds. This often is the case for older water heaters, especially those that do not undergo regular flushing. If the sediment buildup on your unit is quite thick, you can expect the noise to move from popping sounds to rumbling, which will indicate that a water heater replacement is imminent. If aluminum hydroxide is formed due to the interaction of an aluminum anode rod and water with a high pH level, it will also produce the popping sound. Sediments or hard scale inside the tank will also cause your water heater to make rumbling noises. This is created the same way popping noises are made, although rumbling indicates more sediments or scale are present. If the noise is very loud, it means there are a lot of these trapped scale or sediments, and your water heater is operating harder than it should to heat up water. The scenario above is not the only time a water heater can make rumbling noises. If aluminum hydroxide gel is present in your water heater’s plumbing or tank, it may produce this noise. The gel is the result of your unit’s anode rod reacting with water. You can normally find this in the faucet aerators or the drain of your unit. Another possibility is that cold water is being supplied to your unit at a larger volume than it should. This case is not a cause for alarm because it still is considered as a normal operation noise. Tank fractures or leaks – the tank stores water and when it gets damaged, water can seep out and hit hot components of your water heater. Hissing noises are the result of this interaction. Condensation from your unit falls into hot surfaces – hissing noises due to this scenario will occur whenever your household uses up large volumes of hot water in a short period. Noise produced in this scenario is not a cause for alarm, since it is just due to condensation that formed when cold water is refilled to the now-empty hot water tank and this condensation gets into contact with your water heater’s hot surfaces. Buildup of sediments – if you hear popping or rumbling sounds, chances are you will also hear hissing sounds due to sediment buildup. Thermostat setting results in too high temperatures – if you hear this noise coming from your water heater’s T&P valve, you may have set the thermostat of your unit too high. This noise is produced when the T&P valve releases excess pressure that accumulated as a result of the high water temperature, since the hotter the water found in your unit, the more pressure it stores. You might wonder why you hear a sound reminiscent of running water on your unit, despite knowing that all the faucets and showers are closed and no one is using your water heater. If this is the case, it would be harder to pinpoint what the issue is, because there are a number of possible reasons for it and it can occur in different parts of your water heater. Most homeowners report that they hear this sound coming from the tanks or the water lines connected to the water heater. However, it may also come from different parts of your unit, such as the thermostat, tank, pipes, and the T&P valve. But no matter the source, the most common culprit is a water leak. If there are no visible leaks, a professional may likely diagnose the leak as coming somewhere from behind the ceiling or walls. This will often be found along the water lines or pipes, but it may also be diagnosed as slab leaks instead. However, even leaks coming from main water lines some distance away from your home may be the source of this noise. Also referred to as harmonic resonance hum, this sound can be produced by water heaters that can still be considered as new and older units alike. 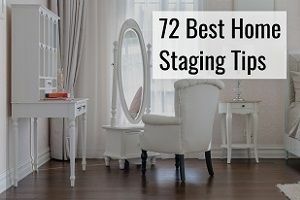 Save for issues with your electrical connection, it is fairly easy for professionals to fix the noise-generating issues. If the humming noise is traced to your home’s electrical system, it is a more complicated issue because it may mean that short circuits are happening intermittently, which can be dangerous and have fatal consequences. You must contact an electrician immediately if this is suspected by your contractor. However, not all humming noises should concern you. This type of noise is also considered a normal one, unless it gets loud or is a sudden occurrence. If you hear loud knocking sounds, yet there is no one standing outside your door, your water heater may actually be the one that is making that sound. If your unit is producing this sound, it is an indicator that there is a buildup of sediments or minerals inside. The louder the sound, the thicker the layer of sediment buildup. This knocking sound is produced by your water heater in the same way the popping noise is. If you recall, the noise is due to water being trapped under the hardened sediments, and the steam bubbles produced when water starts boiling tries to escape from this layer. If sediments are not the culprit, this noise may be the result of the pipes banging and moving towards each other or against the wall as water travels. This is a phenomenon known as the ‘water hammer’, which happens when the water supply is suddenly cut off while it is quickly going through the pipes and tries to go back to the direction where it came from, namely your water heater. Knocking noises may not do much damage on your unit, but it will do a lot of damage on your pipes, as well as the walls and foundation of your home. Many have even reported basement flooding at home because of burst pipes, which plumbers attribute to the water hammer. Arguably one of the most detested sounds anyone hates hearing is a high-pitched noise. If this is something you hate hearing, we have bad news for you – it is quite common to hear this kind of sound with water heaters. There are a few reasons why this kind of noise is produced by your water heater, namely the presence of scale, malfunctioning thermostat, or issues with the pressure relief valve. But more often than not, this noise is produced by your water heater when the incoming water pressure is high. When this happens, you can hear a high-pitched whistling sound coming from your T&P valve. Sediments can also cause high-pitched sounds on your unit. Your water heater may make squealing noises whenever it works overtime to heat water, since the scale buildup makes it harder to do so. Loose or worn-out connections are also possible causes for high-pitched noises on your water heater. And if your drain valve is not fully closed and air passes into the water inlet, this whistling sound may be produced. Your water heater’s tank may also be the unlikely source, since it can make this type of noise when it has corroded due to rust. Another common sound you can hear on water heaters is a clicking noise. This is common to tankless units because they only work on-demand. They come with a flow switch used to start or stop water from flowing and the clicking noise is likely produced when the switch is activated. For traditional water heaters, clicking noises are also the result of scale formed inside the tank. Tankless water heaters also experience clicking sounds that are due to mineral deposits left behind by water flowing through it. But because they do not come with tanks, the calcium deposits from water remain in the components of your unit and they make noise when water passes through those components. Do note that clicking noises from a tankless water heater are more likely to be from the flow switch than mineral deposits. How Serious are the Sounds? Water heaters normally operate with little to no noise at all. This is why whenever you start hearing sounds you don’t usually hear, it is always best to consult with a plumber to determine if the noise should concern you or not. Soft noises, such as clicking, humming, tapping, and the like, are still considered normal and are treated more as an annoyance than something that needs fixing by professionals. These sounds will only need to be checked when they start getting louder than usual. Most sounds that do not fall under the condition above are more likely to be caused by sediments inside the tank, which you might have noticed as you were going through our article. Are you wondering how something that can hardly be seen by the naked eye be potentially disruptive? What if we tell you that the noise it creates is considered just a minor consequence? Just a few sediments will hardly destroy your water heater, but when they clump together and are left alone, time will come when you’ll have to replace your unit and it will be sooner rather than later than you hoped. Leaks will also likely create sounds, and it is best to ask a plumber to check it out whenever you see signs of a potential leak on your water heater. More than the noise, leaks may indicate that something is possibly wrong with your water heater and the earlier you catch it, the better are the chances of having it repaired. The longer you ignore leaks, the worse it will become and the more expensive it will get to have them repaired. The most alarming noise that you need to take note of is due to the water hammer. 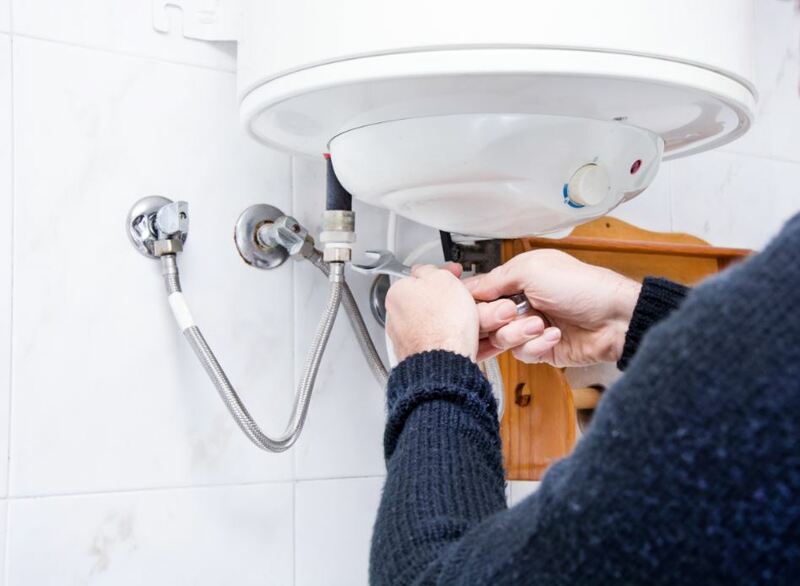 Even if the knocking sounds are actually produced by the pipes connected to your water heater, they need to be seen to immediately by a professional. 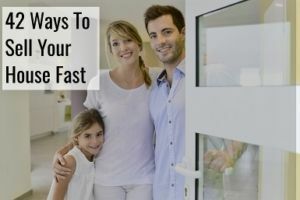 Burst pipes are imminent and you do not want to experience water gushing out from behind the walls, ceilings, or wherever the problematic pipes are located. How Will a Contractor Repair It? Popping – flushing would be the first course of action, as the sediments inside are the primary cause why this sound is produced. But if flushing is done but the noise remains, the buildup is probably severe and the next recourse is to replace the unit’s heating element. Hissing – since hissing noises likely involve the T&P valve of a water heater, this would be checked first and the contractor will initially try to change the thermostat settings to see if the hissing noise will reoccur. If not, flushing will be done next but if this does not solve the problem, the tank is likely the issue and the water heater would have to be replaced. Sound of running water – if you hear this despite having all faucets turned off, the contractor will first check the water meter if it is running. If the contractor sees that the meter is moving despite turning off all faucets, it is highly likely that there is a leak somewhere. The process of repairing the leak will depend on the part involved. If not, the next recourse is to flush because sediments may be the one causing the noise. The thermostat will also have to be checked if it is set at the ideal levels or is malfunctioning and needs replacement. But if any of these do not solve the issue, the heating element may have failed and needs replacing. In case slab leak is suspected, this would be a tougher repair, since the contractor will have to delve deeper and check out the foundation of your home to get to the bottom of the problem. This will definitely costly and time-consuming. 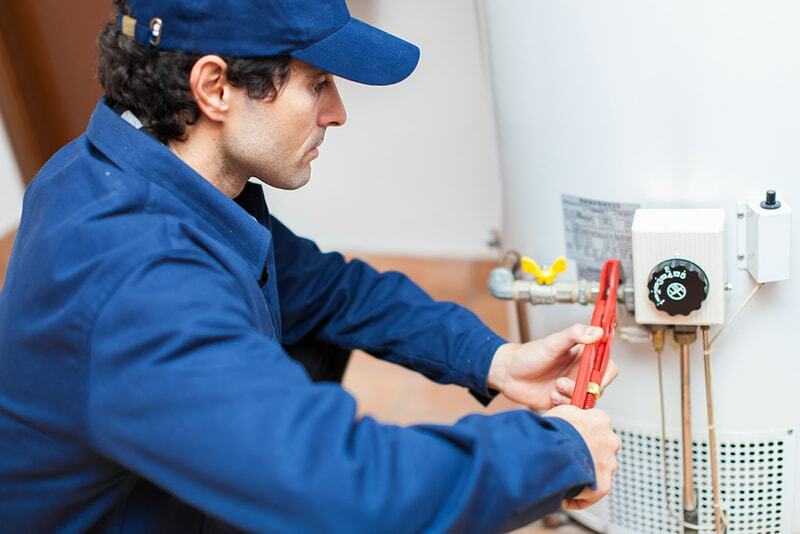 Humming – humming noises on a water heater are easier to solve, as a contractor will likely have to just tighten up any parts or connections that have loosened up. If this doesn’t work or all connections are tight, a contractor will likely find an ill-fitting or faulty component or two that need replacing, which can either be the gas line, burner plate, or burner assembly. Water heaters that are closely surrounded by your stuff may also produce this noise, so the contractor will have to move your stuff to make sure there is enough space around your unit. Knocking – if knocking sounds are traced to the pipes being close to other pipes or objects, the piping system will have to be revised so that they will not collide against each other when they expand. 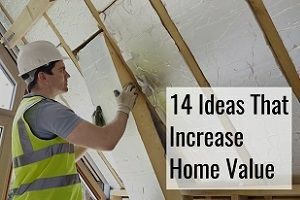 Unfortunately, this may involve tearing down your drywalls or ceilings and redoing your plumbing system. Obviously, this will cost you a lot and is the worst-case scenario in this situation. A water hammer arrestor may first be installed to try and solve this issue. Another option to get rid of this noise is for the contractor to flush your unit to see if scale buildup is causing all that noise. That is, if it is confirmed that the pipes are adequately spaced and are not the source of the knocking sounds. High-pitched noise – since this type of noise often involves pressure in your water heater, the first step to solve the issue is to check the pressure relief valve and if it is working as it should, the temperature will be lowered to lessen the pressure. This noise may also be produced by a failing pressure relief valve or thermostat, so they will have to be changed. Flushing may also resolve the issue, since the noise may be the result of water being trapped under a layer of scale buildup. 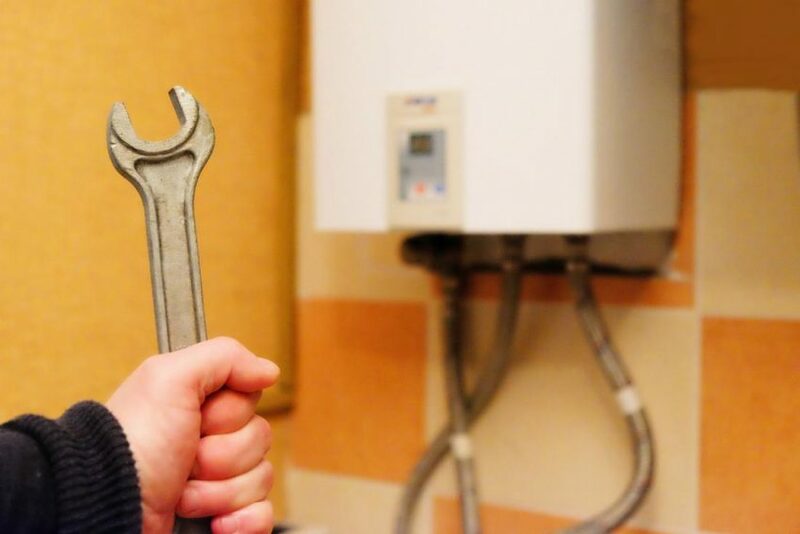 Shut off connections to the water heater, particularly both the power and water supplies, and allow the water remaining inside the tank to cool down first before proceeding. To make the process go faster, hot water faucets may be opened. Attach a hose to the unit’s drain valve, with the other end of the hose placed near or connected to a bucket or drain. Slowly open the drain valve while a hot water faucet is open. Allow water to drain completely and if sediments are still present, the contractor will open the cold water inlet valve to allow cold water to enter and immediately be drained away, bringing along with it the remaining sediments. The contractor will only close the drain valve when there are no more sediments coming out and only clean water is flowing. Once it is closed, the hose will be removed and power will be supplied back to the water heater. Now that you have an inkling of the most common noises you can hear from a water heater and how they can be solved, you may have realized that this is actually a preventable issue. This is due to the fact that sediments are a major culprit for noisy water heaters. Proper maintenance is the most vital step in preventing almost all water heater issues, not just noise. This is also the key to ensure that your water heater will last a long time and will operate at its peak condition at the same time. Water heaters will not last forever, but you can do something to make sure that it will not give up on you faster than you would like. And that ‘something’ is getting it to undergo periodic maintenance, preferably every year and as needed. Regular flushing is important for water heaters, especially if your unit gets supplied with hardwater. Scale buildup is a surefire way for your water heater to have problems later on, so it is important that they be removed before they get too thick and affect the operation of your unit. Not taking care of your water heater means facing annoying leaks, irritating noises, headache-inducing bills, frequent calls to the contractor and plumber and trips to the hardware store, water-damaged appliances and personal items, and worst of all, the possibility of an explosion. Do yourself a favor and get your unit checked out by a professional at least once a year to prevent all these from happening. We’ll be happy to help you get in touch with the most relevant plumbers in your area. All you need to do is simply fill out the form on our site, and we’ll help you get quotes from up to 4 plumbers near you. What are you waiting for?